Be your own life and health advocate - Eat. Lose. Gain. It never occurred to me that I had stopped being my own life and health advocate. I always found comfort in following others. Whether I thrived or I failed was someone else’s responsibility. And where did that leave me? Not where I wanted to be. Change never comes easy. And there is comfort in staying stuck. Looking back, relying on others relieved my stress and made me feel safe. But it also left me unhappy and lost. And only when I admitted this did I start to become my own life and health advocate. It was scary. But it was also amazing. Here’s what I did. I replaced the phrase “I want” with “I will”. “I want” seems like an innocent enough phrase. But it gave away all of my power. It transformed my life plans into life wishes. And it gave me an easy excuse to back out when things got too difficult. When I left something as just a desire, it existed without commitment. But there was power in saying I “will”. Those words resonated differently in my body. And they made it increasingly probable that I would follow through. I stopped holding anybody else accountable for my failures. There was never a dearth of people to blame. I blamed the bad bosses, the horrible teachers and everyone else who had spread negativity into my life. There was the crooked system that kept me down. I mean, you can’t get anywhere without connections. And then there was my genetics. Maybe if I’d been born with higher cheekbones, doors would have more easily opened. And while it felt good to blame, it also took away all of my personal power. Recognizing that I had caused my own failures was extremely empowering. It gave 100% of the power back to me to create the life I wanted. I started listening to my own body. 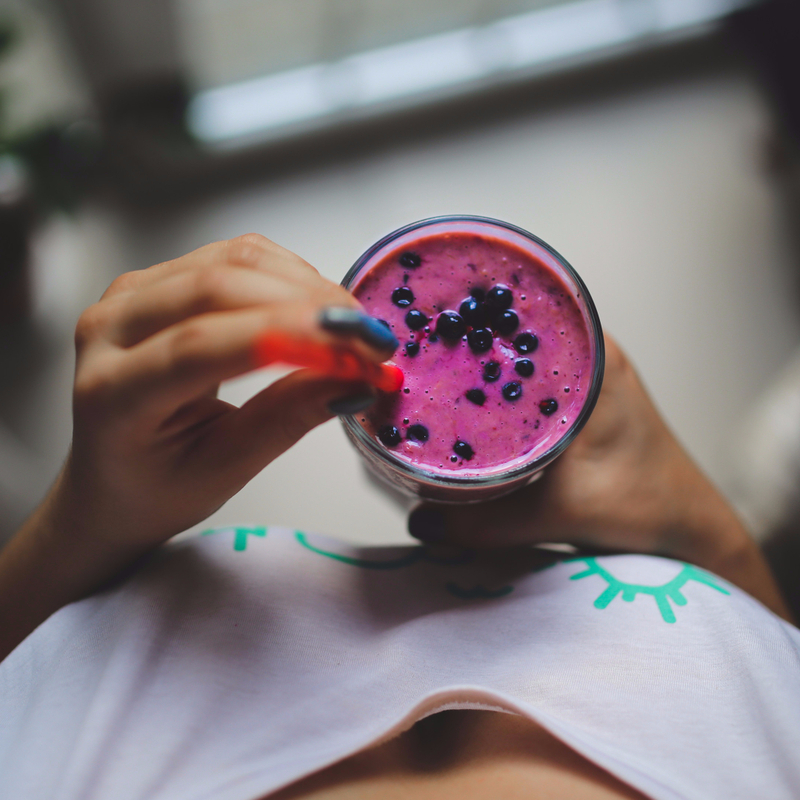 I eventually realized that keeping my body healthy was not the responsibility of my doctor. I had to become my own #1 health advocate. And while eating healthy and exercising made a good start, being my own life and health advocate went deeper than that. It meant not viewing my doctor’s opinion as fact, but as educated counsel. It meant seeking a second opinion when something felt wrong. It involved looking at exhaustion, memory problems, and digestion problems as clues on where my health needed the most attention. And it involved me taking final responsibility for my own healthy future. I started making “someday” today. It was so easy to say I would do things “someday”. But after watching some years tick by, I realized that my someday speak was just an excuse to avoid fear and discomfort. And that the word someday allowed me to feel connected to a desire, but didn’t offer me anything tangible. And I realized that I had to make someday today. Or I was allowing myself to keep my life on hold. And that wasn’t really living. So I replaced the word someday with today. And that’s when I really started to see my life transform. I started believing that my voice was powerful. I grew up not trusting my own instincts. I needed someone else’ approval to feel comfortable moving forward. And so I lived my life listening to everybody else’ opinion. But then I realized the power found in my own inner-voice. I realized that my instincts were, in most situations, the most likely trustworthy source. And that, at the very least, if I was going to listen to everybody else’ opinions. I should at least listen to my own. Being your own life and health advocate isn’t easy at first. If you’ve spent years putting others’ opinions ahead of your own, being your own health and life advocate will be scary. Panic might set in. You might think, “who am I to act as an authority in my own life.” But this feeling will be passing. At the other side, you’ll find strength, power, health and happiness that you never knew existed. And one day you may wake up and recognize that you’re finally firmly in your own life. You’ll finally be the one in control. By being your own life and health advocate you can create a beautiful, thriving existence. But you just need to be willing to take the first step. Erica, I get a lot from every post you write but this one was the best yet. And you are so very right – changing the wording from “I want” to “I will” brings with it a totally different mindset. I hope this statement “It meant not viewing my doctor’s opinion as fact, but as educated counsel.” is read by many. We are often so intimidated by doctors (I think that may be one reason we always have to wait for them – they are in POWER). I’ve changed my approach to my doctor, called him on it when he failed to do something and I question all the medication he prescribes, sometimes I refuse to take it. This statement “if I was going to listen to everybody else’ opinions. I should at least listen to my own” is also right on. When it comes to ‘me’ I am actually the expert. Thanks for sharing this great post Erica, Hope it goes viral. Thank you, Lenie. I love that you view yourself as the expert in your own life. That is perfect! All of these are important but the one that resonates most for me is holding yourself accountable. i often run into people, and I sure you do as well, who react to everything that happens to them by looking for someone to blame. When I meet people like that it immediately occurs to me that this person is not someone who I would expect to ever accomplish much of anything. Ken, I’m sure you know that you can’t even attempt to help someone when they’re in victim mode. They just can’t see how there is a way around their circumstances. Taking responsibility was really difficult for me at first, but the reward is the opportunity for your life to grow. Very inspiring post, Erica. I learned early in life that I need to take care of myself and I am the only one that truly knows what is going on with me. Others can only guess. 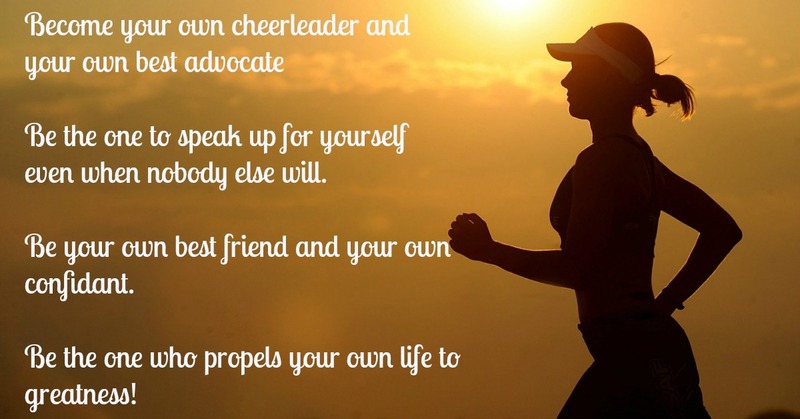 So I agree, being your own advocate to health is so important. Thanks for this great reminder. I’m glad you found this a helpful reminder, Sabrina. And I’m glad you’ve made a habit of making yourself a priority. You know Erica, I write about and teach the principles of psychological resilience, and at the one thing all highly resilient individuals have in common is their willingness to take responsibility for their own lives – which is exactly what you are talking about here. Good for you, and thank you for sharing your process with your readers! Marquita, I’ve picked up lots of great insights from your blog. And I think it is important for people to remember that health isn’t just how you treat yourself physically but also how you treat yourself mentally. I too am making the shift little by little from “I want / I hope” to “I will.” It’s so true how that stance greatly impacts one’s mindset. It really does, doesn’t it? I’m glad you are working on that shift as well! There is a lot of great stuff in this post. I like the mindset change which comes with changing “I wish” to “I will”. I’m going to practice that. I also like thinking about your doctor as educated counsel. Donna, it amazes me how many people take their doctor’s words as fact in the absence of medical tests. Doctors are just human beings like the rest of us. And most of them are very knowledgeable and good doctors. But opinions are always just opinions. It is up to us to decide what to do with them. . Your posts are always so well written. I hang on to every word you type. Much of what you have written has resonated with me. Regardless of what happened in our past, we are responsible for our thoughts and actions. Blaming others holds us bound. I understand your need to “check in” with others as you do not trust your own judgement. It really is draining to second guess your abilities and thoughts. Thank you, Phoenicia. And I agree with you that it is draining to second guess everything you do. I spent so many years like that, and it is really exhausting to need approval before moving forward with anything. Great post, Erica. We do have to become responsible for ourselves, don’t we? I am the caregiver and advocate for my ailing husband. He is fortunate to have someone look after everything for him. I’m now healthy and able, but I do have concern for the future when I may need some assistance, and without children or younger siblings, I’m quite sure I’ll be relying on friendships to see me thru. I didn’t know you were a caregiver to your husband, Doreen. And everyone always says that it is important to take care of yourself while taking care of someone else, though it can be challenging. I think they say that a large percentage of Baby Boomers don’t have kids. So, as they age, they expect all these Golden Girls living situations to pop-up so what will mostly be older, widowed women can support each other. This is important advice, not just only for a life advocate. These tips can apply to finance, personal relationships etc. Even if you have an advocate, it always comes down to you. A coach can tell you anything, but unless you implement it, it means nothing. That is a good point, William. I’ve know at least a few people who create a financial mess for themselves and blame it on situations beyond their control. And you’re right. Even if something happened that you couldn’t control at the time, it is up to you to advocate to get to the other side in any situation. Everything you write makes excellent sense! An individual engaged in self-empowerment is such an inspiration to others. Walking one’s big talk is a healthy thing.